Google Docs API Tests OCR On An Image ! 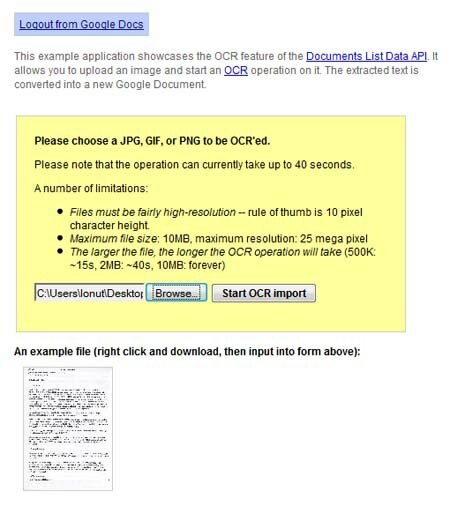 Now the OCR (Optical Character Recognition) is possible on an image, as the Google Docs API tested this new feature. You can have a live demo that illustrates your OCR thirst. Therefore, you can upload a high-resolution GIF, JPG and PNG image that are lesser than 10MB, then Google Docs will extract the text and convert it into a new document. According to the Google Docs, the process time will take up to 40 seconds. We are not sure about the perfection, but the service is available free with a constant improvement. 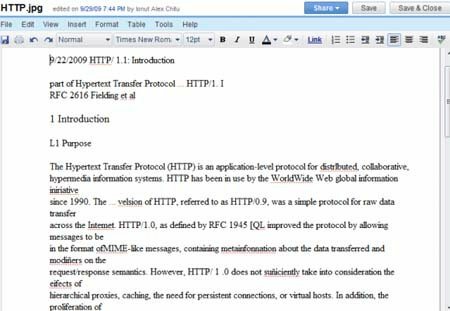 Moreover, at present you can’t find any other OCR services than Google Docs, so it will become popular. At the same time, Google sponsors the development of open source OCR software called OCRopus, but we are not sure that Google’s online service uses OCRopus or not.